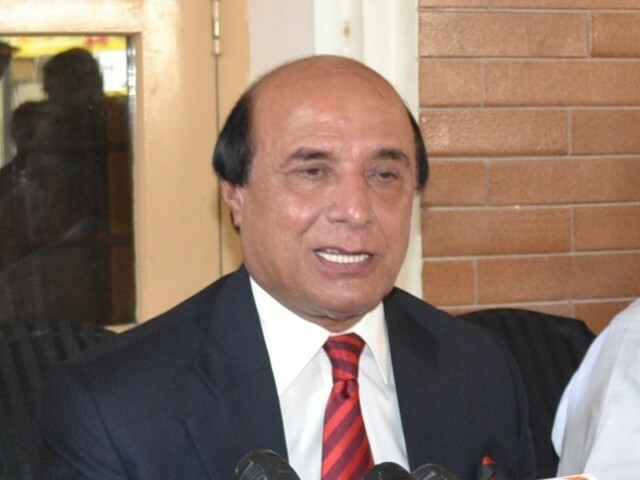 Punjab Governor Sardar Latif Khosa on Friday began hectic efforts to gain 10 more days to complete his two years in the Governor’s House, as Pakistan Muslim League-Functional (PML-F) chief Sibghatullah Shah Rashidi said that the Pakistan People’s Party’s new choice for Punjab governor had surrendered his loyalty with the PML-F to “honour the wish of his late father who wanted him to become a governor”. A source told Pakistan Today in Lahore that Governor Khosa shared his wish to be granted 10 more days in the top federal office in Punjab with Federal Law Minister Farooq Naik after a seminar where both leaders were present. The source said that Khosa sought an explanation from Naik over the party’s decision to replace him with former PML-Functional Punjab chief Makhdoom Ahmad Mahmood but the latter expressed ignorance about the matter. Khosa then tried to contact President Asif Zardari on the telephone but he could not be reached despite repeated attempts, the source added. However, Khosa was able to speak to his party chief in the evening and sought a meeting with him at the earliest. The source said that it was likely that Khosa would meet President Zardari today (Saturday) or tomorrow. “Khosa wants a 10-day breather to complete his two years in office ostensibly to benefit from the perks and privileges allowed to former governors which is why he’s desperately seeking a meeting with President Zardari,” said the source, requesting anonymity. He said that the governor-designate Makhdoom Ahmad Mahmood was likely to take charge of his office on Monday, contrary to earlier reports which suggested that he would take oath today (Saturday). In Karachi, Rashidi, best known as Pir Pagara, told reporters that Mahmood had been in contact with the PPP for over a couple of months but had informed the party about his intention of leaving it for PPP on Thursday evening. “He (Mahmood) told me this was his father’s will so I kept quiet,” said the PML-F chief. Rashidi was flanked by Jehangir Tareen of the Pakistan Tehreek-e-Insaf (PTI) who lauded Pagara’s “much-needed anti-PPP stance in Sindh”. Rashidi said Mahmood, his first cousin, had come to him an hour before his scheduled meeting with President Zardari on Thursday. “He came to inform me about his decision… it was not a consultation,” said Rashidi. “He told me about President Zardari’s offer and that he had accepted it,” he said, adding that Mahmood’s defection would not affect his anti-PPP stance in Sindh. However, he hastened to add that he wasn’t sure whether Zardari would honour the promise made with Mahmood. “Mahmood said he wanted to retire now as his sons were there to shoulder his political activities,” said Rashidi, who believed that “governorship will be of no use to his cousin”. Asked if he was seeing more defections in his party ranks, Rashidi said how many offices were left with the PPP to offer to his party members. To a question, PTI’s Tareen said no political party would accept any interim set up that could manipulate the elections. Earlier, Mahmood tendered his resignation from the PML-F membership. Governor is the President's rep.If this was the relationship then one can imagine this federation in deep sh.t.But on the other hand both have been caught with pants down. Hilarious.Isn't it. He wants to take more joyous rides of governorship which person of his caliber cant imagine even in his dreams.This is dirtiest politics of Zardari that made his unimaginably dream true and he has to end many tasks before leaving this official palace.